– If one was to believe the media everyone in Russia is on the verge of panic because of the sanctions on imported foods. The reality is much different, the belief that what Russia imports from other countries would lead to empty shelves in grocery stores has proved to be false? So were does a majority of the food come from that sits on the table of most homes in Russia? The answer is surprising – “the Russian Dacha”. 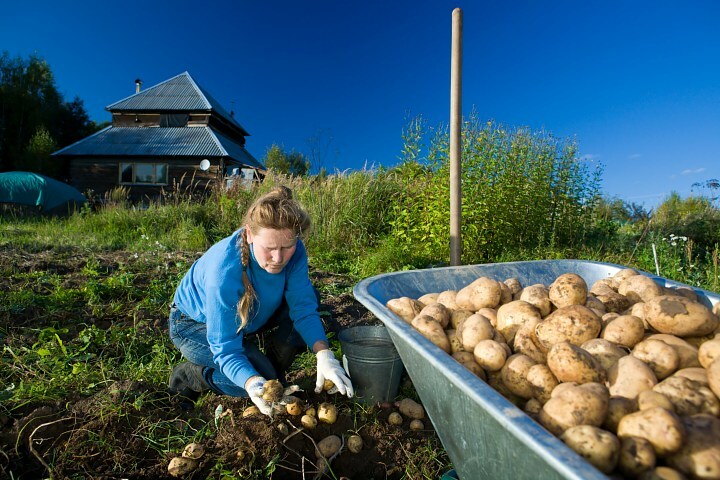 In 2011, 51% of Russia’s food was grown either by dacha communities (40%), peasant farmers (11%) leaving the rest (49%) of production to the large agricultural enterprises. What is interesting is when one digs deep into the earthy data from the Russian Statistics Service you discover some impressive details. Again in 2011, dacha gardens produced over 80% of the countries fruit and berries, over 66% of the vegetables, almost 80% of the potatoes and nearly 50% of the nations milk, much of it consumed raw. It would be interesting to see this type of data for other countries. Today European governments make it very difficult to live on a small plot of land, in Russia the opposite is the case. In the UK one councilor’s opinion about living on the land was, “Nobody would subject themselves to that way of life. You might as well be in prison”; living off the land in Russia has meant the sanctions mean very little and affect on them is almost nil. Food sovereignty puts the people who produce, distribute and eat food at the center of decisions about food production and policy and not corporations and market institutions that have come to dominate the global food system. In 2003, the Russian government signed the Private Garden Plot Act into law, entitling citizens to private plots of land for free. These plots range from 0.89 hectares to 2.75 hectares. Industrial agricultural practices tend to be extremely resource intensive and can damage the environment. 70% of global water use goes to farming, and soil is eroded 10 to 40 times faster. Furthermore, the dacha movement has given way to an eco-village movement — a movement that has encourages many families to create environmentally friendly and socially just agricultural settlements in which families live on and maintain about one hectare of land. See more here.